It’s got “esports-grade” audio performance. Logitech G’s new PRO Gaming Headset is built for esports. The gaming peripheral company announced the new “esports-grade audio” headset today, built from feedback from esports organizations like Overwatch’s London Spitfire, Counter-Strike: Global Offensive’s G2 Esports, and League of Legends’ TSM. Logitech G focused on creating a headset that allows for high quality audio, so players don’t miss a sound. Logitech claims the Logitech G PRO Gaming Headset has 50 percent more sound isolation than earlier ear pads, using “premium leatherette” to create maximum passive sound isolation. Microsuede ear pads are included, however, for players who prefer options. The clean, all-black design is unobtrusive and just generally looks good. Likewise, the PRO headset uses a “pro-grade pop filter and microphone” to allow for clear voice communications with “improved sound capture” and “market-leading audio recording,” according to Logitech. 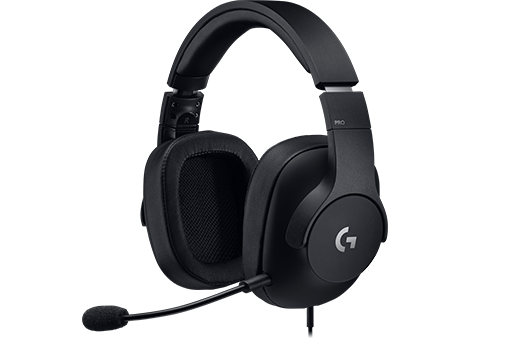 The headset is available now through the Logitech website for $90, which places it in a mid-range price level.